Right now, it feels like you’re wasting ton of time on Pinterest. You might even be falling down the proverbial Pinterest rabbit hole. And all this effort and time you’re putting on your Pinterest marketing hasn’t been paying off so far. You’re not the getting the clicks you SHOULD be getting to your site. Hmm…. well, because I’ve been there, done that! Getting few clicks on Pinterest? Then this short 5-minute video is for you! I discuss graphics, search, and give you a practical example to get started. And I go behind-the-scene and share a practical example of how I do it! 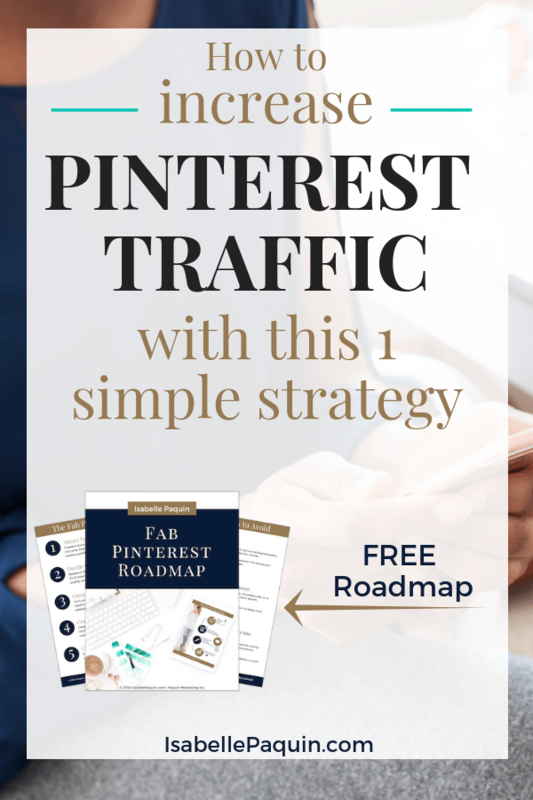 Watch the short 5-minute video to learn about how to increase your clicks on Pinterest - and yes, it's not that complicated and few know about this tip.